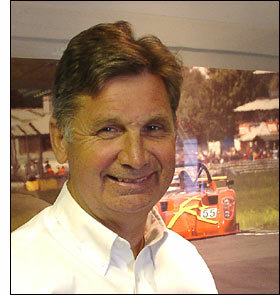 Radical co-founder, Mick Hyde, has announced his intention to sell his interest in Radical Motorsport. His partners in the business, Phil Abbott and Tim Greaves fully support his planned exit. Mick Hyde explains: “In the ten years since we started Radical, the company has grown rapidly. We manufacture 100 sportscars a year, turn over £7m per annum, employ over 80 staff, work with 18 distributors world-wide and operate from a 35,000 sq ft factory unit in Peterborough. Our sportscars compete in eight, one-make series around the world, with more in the planning stage. The Radical product range comprises the Prosport, Prosport PR06, SR3, SR4, SR8 and the SR9. All the design and development cost of these cars has been paid for out of profit and shareholder investment.